On 25th November 1787, Franz Xaver Gruber was born on the Steinpointner Sölde in Hochburg as the 5th of 6 children of Josephus Gruber, a linen weaver on the Steinpointsölde, and Anna, née Dannerin, a farmer’s daughter from Paßberg, and, as was the custom at that time, was baptised on the same day in the parish church. The baptismal font still bears witness to the event. 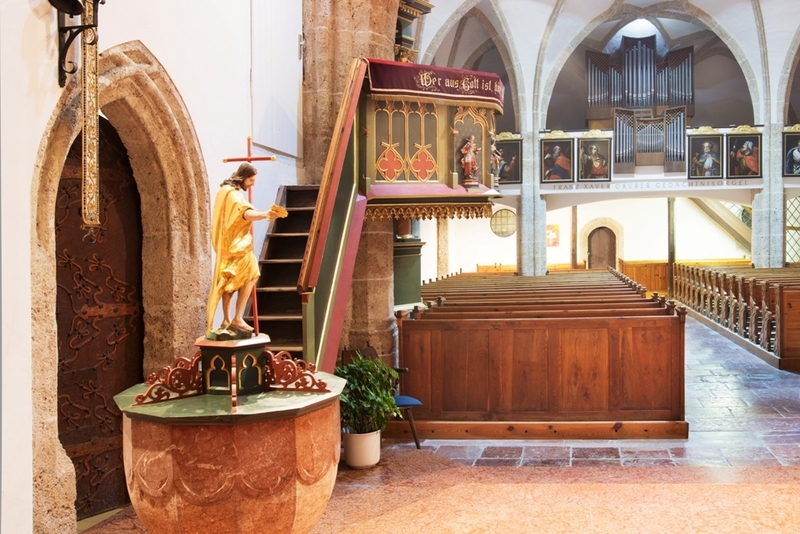 The Franz Xaver Gruber organ was built in honour of the great son of Hochburg on the occasion of the 175th anniversary of his birth and acts as a reminder that Gruber was educated as a teacher and organist here in his hometown.